The Lakers winners of 4 straight, including the first 3 of their 4 game road trip. Their last win, over the Heat, was another fantastic team effort that saw Julius Randle dominate early, Brandon Ingram control the 3rd quarter, and Isaiah Thomas close the game out with a strong 4th quarter. 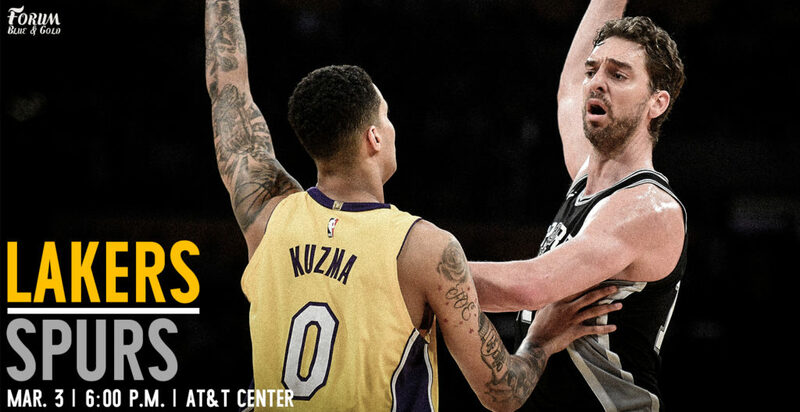 The final game of the road trip is today, in San Antonio vs. a Spurs team that is missing key players and fighting to maintain their positioning in the dogfight that is the western conference playoff race. The Spurs are now sitting in 4th, falling behind the Blazers and in a virtual tie with the Thunder (5th) and T’Wolves (6th). As noted, things will not be easy for the Spurs, either, due to health issues. Kawhi Leonard remains out — as he has most of the year — though is trying to work his back from a lingering quad injury. LaMarcus Aldridge is not supposed to play today and Pau Gasol is questionable. We can never count out Gregg Popovich’s ability to piece together lineups and rotations, but he’s working on the margins of his depth right now and at the worst possible time to try to play this way. One might think the Lakers have a good chance today, then, but they’re dealing with their own injury issues. Brandon Ingram has been ruled out for today’s contest after suffering a strained hip flexor late against the Heat. Josh Hart has a broken hand and is out indefinitely. Corey Brewer has been bought out/waived. The team has signed Travis Wear to a 10-day contract to offer additional depth, but he’s a PF only. So, if he does see time, it’s because Kyle Kuzma is playing more SF to compensate for the shallow depth on the wing. None of these are ideal solutions, honestly. Ingram has been the team’s best player over the last month (or, at least, right there with Julius Randle). 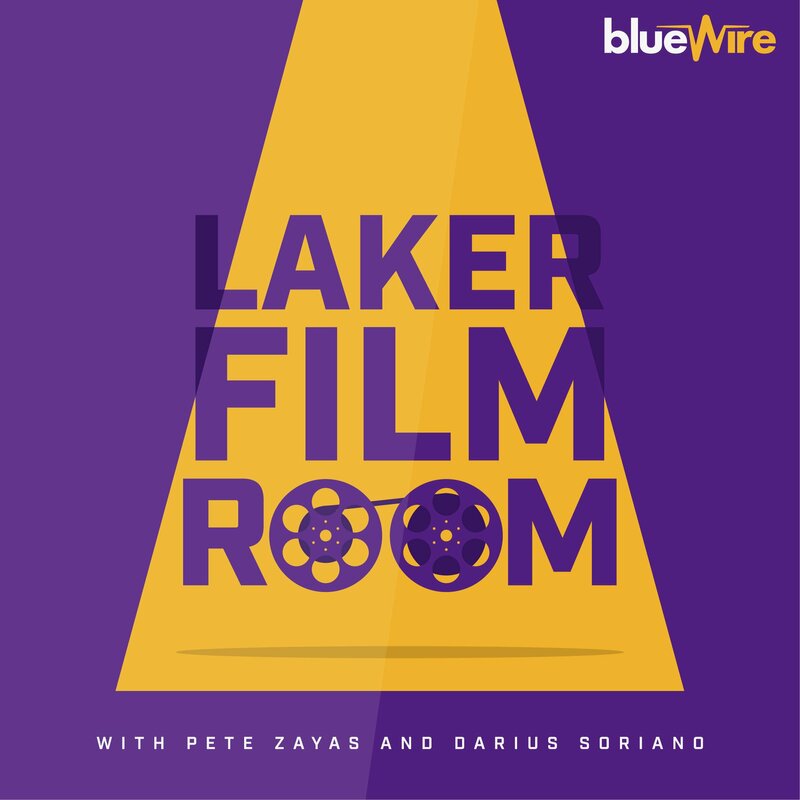 Losing him puts the Lakers in a really tough spot, removing a scoring punch, ball handling, offensive initiation, and one of the team’s terrors in transition. That last point is really important, since the team’s work in the open court has been a major key to their offensive success of late. Lonzo being back will help in this area and the team will need even more from him today with Ingram out. I don’t know if Lonzo has it in him to be more assertive as a primary scorer, but his general playmaking and activity can be such major triggers for the team on both ends of the floor. If he brings his top gear this game, he can be the rising tide which lifts all the other boats. The other key player to me is Julius Randle. Randle has been a monster of late and when facing a Spurs team without Aldridge and a banged up Pau should translate to an edge for him. Randle will need to bring tenacity on the glass, his motor in the open court, and the patience and decision making out of the post that has allowed him to flourish for most of this year. If he does, he can make an impact and, potentially, swing this game in the Lakers favor. He can be that good, but I am interested in seeing him do it on this reduced version of the team that desperately needs it from him in a specific game. Where you can watch: 6pm start time on Spectrum Sportsnet.